Do you need an expert in raccoon removal? Orlando residents need look no further than the professionals at Critter Control. While they may look like cute furry bandits, raccoons are notoriously aggressive and fiercely protect their young. What’s worse, when they enter your home, they can pass parasites and diseases, including rabies, to your family and pets. 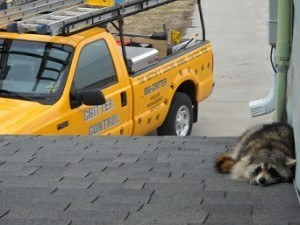 That’s why it’s best to call in an expert if you need raccoon removal. When you place a call to Critter Control, our certified wildlife experts work with you to find a raccoon removal plan in Orlando that fits your budget and specific needs. We offer humane and live trapping options so the raccoons can be released safely back into the wild. Critter Control is a family-owned-and-operated business that has been performing raccoon removal for more than 20 years. Our expertise and superior service has resulted in an A+ rating with the Better Business Bureau and Angie’s List Super Service Award. We even guarantee our work for three years. Do you have a raccoon emergency? Take advantage of our 24-hour service. If you’re ready to get rid of your pests once and for all, call us at 407.295.7194 to schedule your free home inspection.